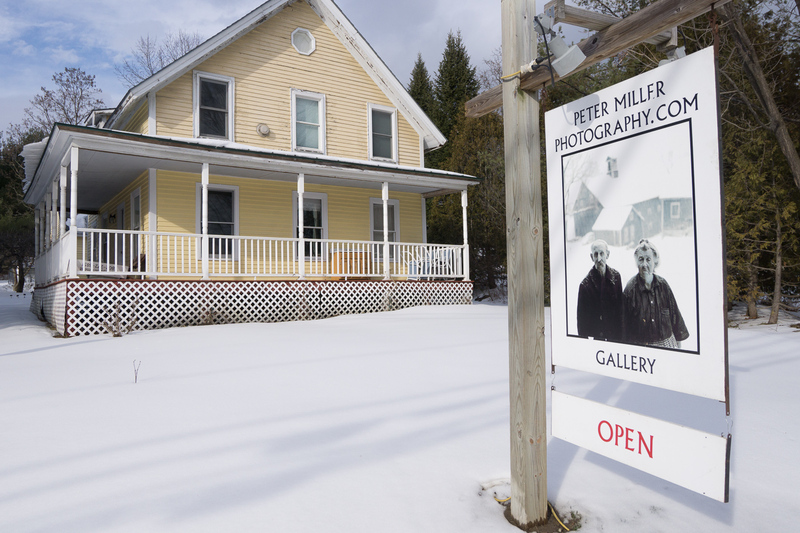 Visit the Peter Miller Gallery in Waterbury, Vermont. Peter lives on Route 100 in Colbyville, Vermont, a hamlet of Waterbury, currently being sprawled. Just a few steps lead to Ben & Jerry’s Ice Cream factory. It is less than a mile from Exit 10 on Interstate 89 heading north towards Stowe. If you come to Ben & Jerry’s entrance you have driven too far. Turn around and it’s the second house on the right. Peter lives upstairs in the 160 year old farmhouse where he wrote the book Nothing Hardly Ever Happens in Colbyville, Vermont, a 1970’s period book, funny and a bit satirical. Our neighborhood was funky and we had time to hunt and fish. Now it suffers asphyxiation. It is best to call for appointments, but if you stop by, dial the cell phone (below) chances he's around.